Following City’s success last year as a fringe event host during Clerkenwell Design Week (CDW), the University will again be taking part by hosting an exciting panel of speakers who will each be sharing their perspectives on how computational science is transforming design. On 24th May, City University London will again stage one of Clerkenwell Design Week’s (CDW) Fringe events, titled, “An Innovator’s Playground: How Computational Science is Transforming Design”. It follows City’s successful debut last year, “Stories About the Z-Axis: The Art and Science of Extraordinary Structures” , produced by the School of Mathematics, Computer Science & Engineering (MCSE). The annual festival celebrating the innovative work of Clerkenwell’s Design Quarter runs from 24th-26th May this year. Engineering design has been transformed by ever-faster digital computers, advanced graphics engines and CFD/FEA simulation tools. The revolution continues through increased use of electronic sensors, wireless transmission, data storage, digital manufacturing processes and the creation of new materials founded on nanoscale structures that were unheard of up to a decade ago. 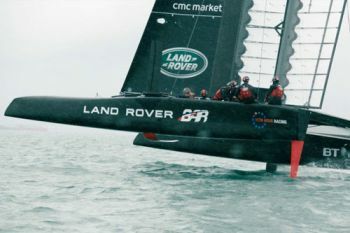 With presentations from four leading designers, this CDW Fringe event will illustrate how the digital revolution has shaped McLaren's engineering solutions, Sir Ben Ainslie's America's Cup catamaran, Richard Noble's 1000mph car and Thornton Tomasetti's super tall buildings. This year’s speakers are: Duncan Bradley (McLaren); Elisabeth McLean (Land Rover BAR); Mark Chapman (Bloodhound SSC) and Joseph G Burns, (Thornton Tomasetti). 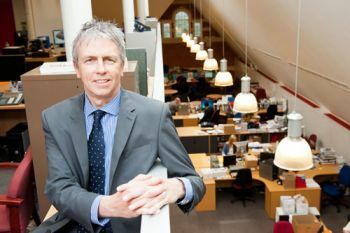 MCSE Dean, Professor Roger Crouch, spoke to City News about the University’s involvement in Clerkenwell Design Week. 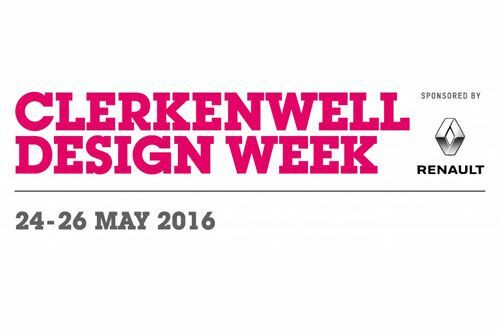 City News: How did you come up with the theme for City’s 2016 Clerkenwell Design Week (CDW) Fringe event? CN: How is MCSE taking up the challenges and opportunities created by computational science to transform engineering design? PRC: We have just launched our seven new engineering degrees. The first intake will be in September 2017. We have designed these degrees from scratch. It is a very exciting time for our School, as City becomes a member college of The University of London. All seven engineering degrees will feature a higher proportion of computational engineering than seen previously. This is in response to the rapid growth of advanced analysis and the demand from leading engineering consultancies. Computer programming skills will be taught and valued throughout these degrees. A far greater proportion of our modules will include programming exercises. This will put City students at a distinct advantage over competitor graduates from other universities. CN: Following City’s debut last year as a CDW Fringe event host, what do you see as the main benefits of our involvement in the festival? PRC: We have made many valuable new friends through our involvement with CDW. The leading practices are helping us shape our new engineering degrees and will be offering internships for the most able of our students. Furthermore, our new neighbours are contributing to our lectures to provide students with a taste of live projects and their first exposure to professional practice. CN: This year’s speakers cut across a broad swathe of design and engineering disciplines. What were your motivations for selecting them? PRC: Picking up on the excitement generated by the London 2012 Olympics, we wanted to select several speakers who are engaged in major sporting challenges. For example, our most decorated Olympic yachtsman (Sir Ben Ainslie) has a huge public following. There are many eyes watching his progress as he prepares for the America’s Cup challenge. 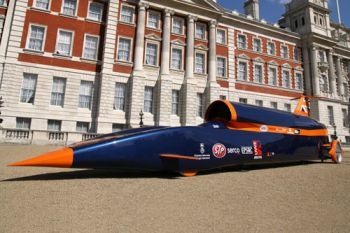 Similarly, Richard Noble's Land Speed record attempt next year, where the Bloodhound team intend to break the 1000mph barrier, carries the same excitement as the early days of Donald and Sir Malcolm Campbell. CN: City has been a central part of the Clerkenwell design/creative industry landscape since 1894. How can MCSE influence the design and creative culture of this historic area in the 21st century? PRC: We have placed Design at the very heart of all of our engineering degrees in MCSE. We know that promoting the creative aspects of engineering makes the discipline far more attractive to bright young women, who might otherwise have a different impression of what it means to be a modern engineer. Our laboratory classes will feature far more ‘design/make/tinker and modify’ exercises - experience suggests that students enjoy them enormously. We are increasingly being recognised by the Clerkenwell community as a valuable partner in the area of design (least not through our leadership in the CDW events!). We intend that City's name becomes synonymous with advanced, exciting design. Computational fluid dynamics (CFD) is the use of applied mathematics, physics and computational software to visualize how a gas or liquid flows -- as well as how the gas or liquid affects objects as it flows past. Computational fluid dynamics is based on the Navier-Stokes equations. These equations describe how the velocity, pressure, temperature, and density of a moving fluid are related. Computational fluid dynamics has been around since the early 20th century and many people are familiar with it as a tool for analyzing air flow around cars and aircraft. As the cooling infrastructure of server rooms has increased in complexity, CFD has also become a useful tool in the data center for analyzing thermal properties and modeling air flow. CFD software requires information about the size, content and layout of the data center. It uses this information to create a 3D mathematical model on a grid that can be rotated and viewed from different angles.